The annual Google I/O Developers Conference, this morning (Beijing time) once again held in California mountain view city. If last year was the I/O conference, the focus shifted from mobile development to the first year of artificial intelligence. This year, Lei Feng net (public number: Lei Feng net) see, is to fully embrace the gesture of AI, let developers know again I/O; this is also the conference's unusual place. The answer was announced in the wee hours of the I/O keynote speech. 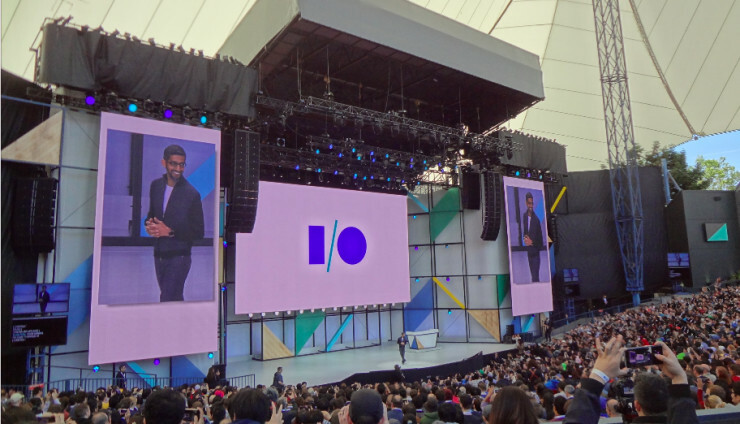 As the opening speech, Sundar, Pichai and Google project leaders will be I/O 2017 new news condensed here, focused on the highlights of this session of the conference. Among them, Google released Google, Assistant, Google, Home, Google, Photos and Android series of upgrades, TPU hardware also ushered in the second generation. Next, please see Lei Feng net reporter in the meeting for you to bring back the report. Sundar Pichai expresses, Google Assistant and search are juxtaposed, it is the most important product / service carrier of Google machine learning technology. AI's wind review is the core technology of Google Assistant, ahead of Amazon, Alexa, Microsoft, Cortana, and apple Siri. But this born out of Google, Now, solid internal assistant platform for artificial intelligence, but in the consumer side of the application of slow one step. From today's Keynote speech, this situation is likely to change from this point: Google's Google Assistant put in full investment and spare no effort to support the impressive gesture. So, what upgrades will Google Assistant usher in? First of all, yesIntegrating the three forms of communication: voice, text and image. Prior to this, voice dialogue was the only way to use Google Assistant. And from now on, Google Assistant will not only like Facebook Messager platform chat robot that supports text dialogue, will also interact with the user in the visual pathway. The latter is based on a technology called Google Lens. 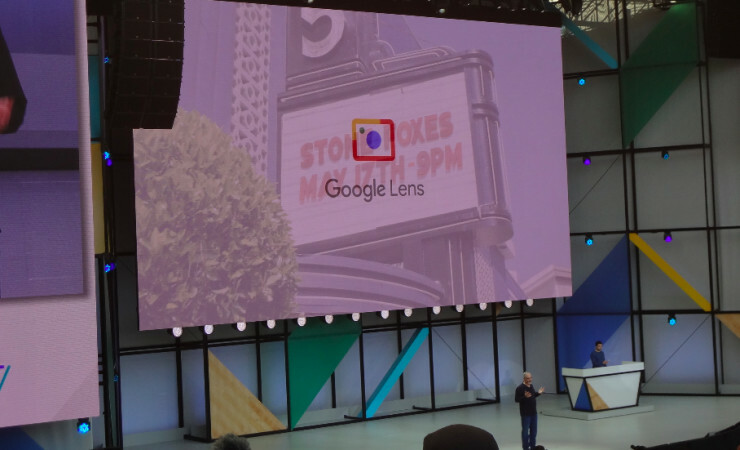 Google Lens is the name of Google's new computer vision service and the top priority of the I/O. Google, Assistant, Google photos (Google, Photos) and other products will be seamlessly integrated with them. Google Lens allows users to view photos in smartphones, and then Google Assistant can discuss what they see with the results of their feedback. Its usage scenarios include identifying tourist landmarks, extracting text information, cell phone numbers, and translating in real time with Google translation; and of course, Google photos, see below. 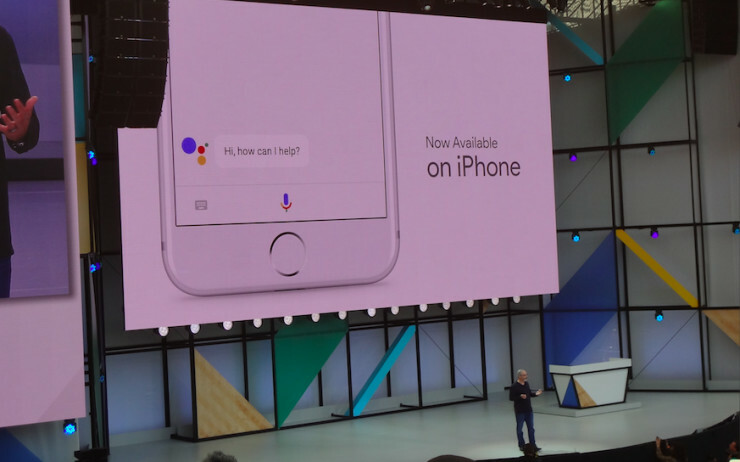 In addition, Google Assistant will land on iPhone, and its development kit Google Assistant SDK will soon be released. Proactive assistance, that is, active notification alerts. When Google Home's LED notification light is on, if the user asks for it, it will notify the relevant notification information. No dial calls. 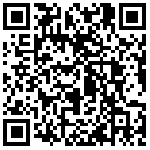 This is the forthcoming service in the United States to support free North American calls. Name the contact, and Google Home will dial automatically according to the phone number of the address book. Visual feedback. Using mobile phones and TV screens to display information, such as pushing weather on mobile phones. Today, Google announced that Samsung, S8 and LG next-generation flagship will join the Daydream support. In addition, Google announced that it will launch in the second half of 2017 integrated VR based on Daydream, it does not need an external processor, built-in PC, VR provide a complete one-stop experience, will be like game consoles just as their sole function optimization. 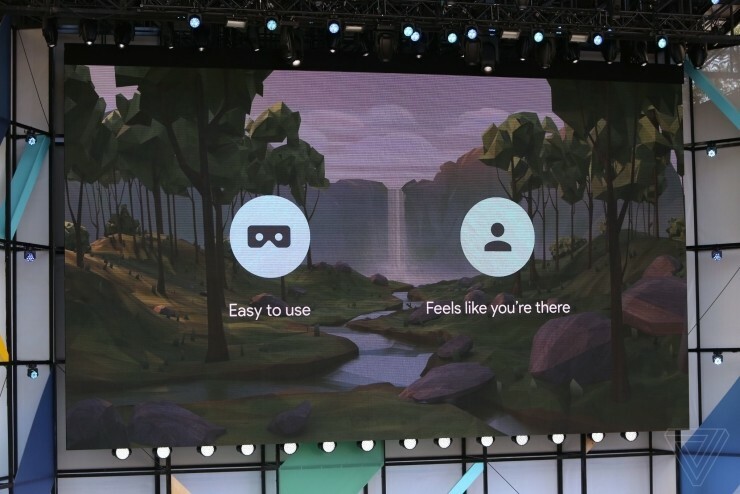 The Daydream integrated VR device will be equipped with Google WorldSense location tracking technology to provide a more accurate VR environment mobile experience. HTC will launch Daydream integrated VR devices outside of Vive. Another star device after Vive, Oculus, PS, VR? We wait and see. Lenovo has also confirmed the development of Daydream equipment. In addition, the second generation Tango mobile phone, ASUS Zenfone, is on the way. Google has also launched the Expeditions education program to bring Project Tango's AR experience to primary and secondary classrooms. 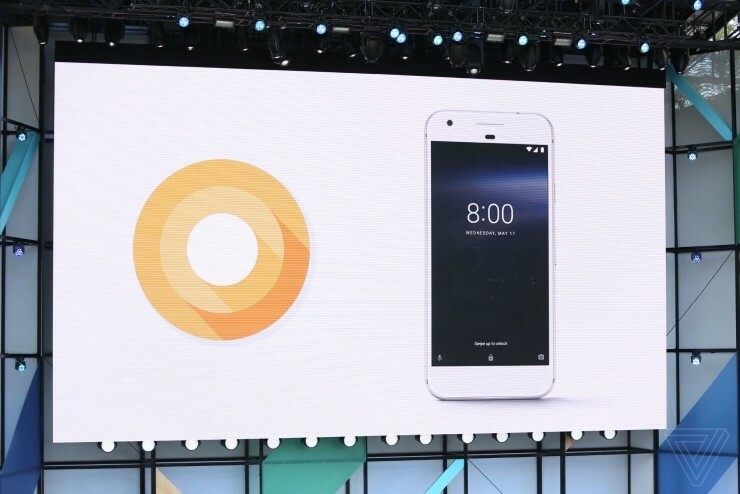 In March, Google announced a preview version of the next generation OS Android O to developers. Unfortunately, Google hasn't been announced yet. Suspense left over in the second half, let's take a look at some of the new features of Android O. This is a lightweight Android version that Google is about to open to developing country users, known as 1GB memory to run smoothly. The goal is to take care of low-cost devices, as well as low bandwidth network environments, and to enhance multilingual support, and strive to ensure that the entry-level Android device experience. 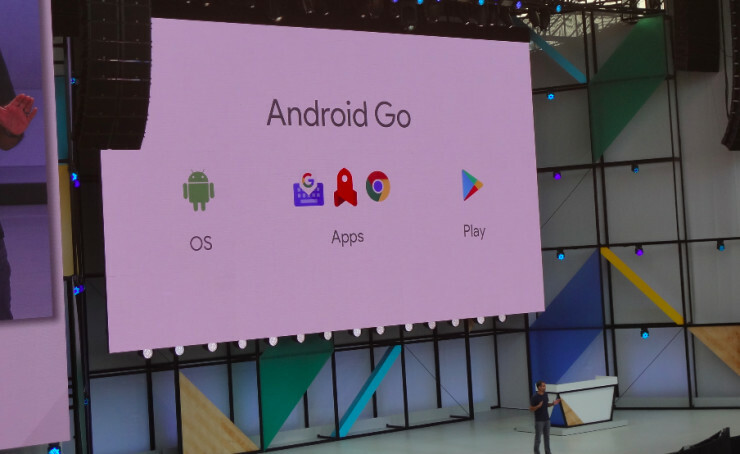 Android Go will optimize the APP in three layers of OS, APP, and Play stores. Compared to standard Android, APP, local space and network bandwidth usage will be significantly reduced. Google said that in the future, each APP will provide Android Go version. Google announced that it was born in Russia's young language, and now becomes the latest First-class Android programming language. Android Studio 3 has joined its support. Google announced a comprehensive upgrade of Google Photos based on machine learning technology, probably the biggest upgrade since its birth. Google Photos will use machine learning techniques to automatically add tags to the photos, group them, and automatically adjust the effects of the photos (for example, auto flip). It will also integrate Google Lens's image recognition capabilities and provide a range of new features, such as identifying phone numbers in photos. At the I/O conference last year, Google announced its first generation TPU. And just released Cloud TPU, is the second generation of products. With the first generation is different, Cloud is TPU and optimization reasoning training, single card operation performance up to 180 teraflops. Cloud TPU will join Google Compute Engine to provide services for AI and developers. It is worth mentioning that, Google will come up with one thousand Cloud TPU, set up Tensorflow Research Cloud, free of charge to university researchers. The first is the mobile version of Tensorflow, called Tensorflow Lite, which allows developers to run fast, small scale neural networks on smartphones. Google will release its API in the second half. Google will publish more details on Tensorflow Lite in tomorrow's machine learning lecture, so stay tuned for coverage. Moreover, it is Google's new website, Google.ai. Google's latest AI research results, tools and applications will be brought together here for researchers and developers to learn reference.